The Catholic Church is violating The Fauna and Flora Protection Ordinance and damaging conservation efforts in Wilpattu according to two environmentalist organisations. 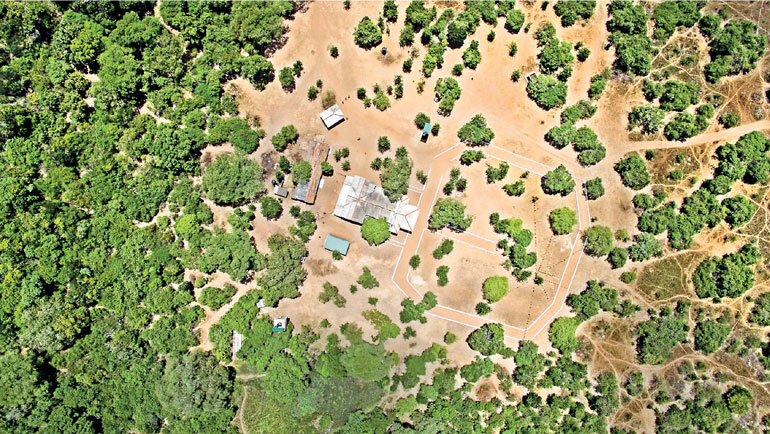 The Wildlife and Nature Protection Society (WNPS) and Environmental Foundation Ltd. (EFL) on Tuesday held a press conference to publicise their long-running criticism of the expansion of a Catholic shrine in the protected area of Wilpattu National Park. According to EFL Legal Counsel Wardani Karunaratne this expansion by the Catholic Church is in direct violation of the Fauna and Flora Protection Ordinance which governs the legal administration of ‘Protected Areas’ like Wilpattu National Park. The shrine in questions is the Pallekandal shrine dedicated to St. Anthony which is part of the Chilaw diocese. The shrine itself predates the declaration of Wilpattu as a National Park in 1938 and according to Catholic belief is said to have existed since the time of Indian Catholic Missionary Joseph Vaz. 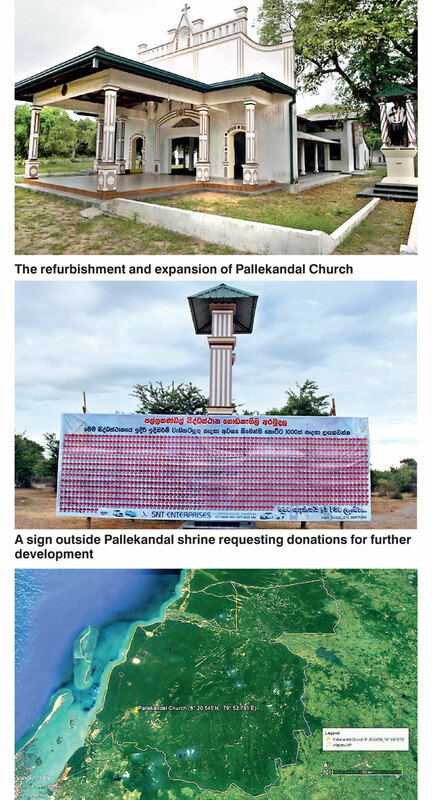 Satellite imagery shared by WNPS shows that the once diminutive shrine which was neglected and largely inaccessible during the Civil War – when the area was contested between the Sri Lankan Armed Forces and the LTTE – has now been refurbished and expanded with what appear to be dirt roads and even a parking. WNPS also provided images of billboards at the shrine which promise further developments. Older reports from The Sunday Times suggest that the expansion of the shrine as well as the subsequent collateral damage on the environment occurred with the approval of local politicians while Church officials have also claimed that they were given permission to expand and refurbish the shrine.